It’s cold. I wish I’d have a hot drink, to warm me up from the inside. But I don’t want to get the stove out in this weather. Lets see if there’s still some tea in my Thermos bottle. Thank god, there’s still some in there. Now just to find a spot outside of the wind, and then to enjoy that hot cup of tea. 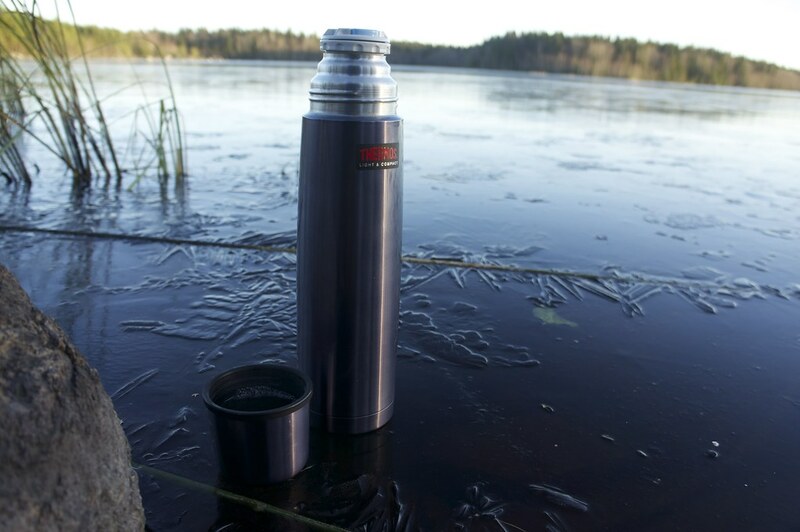 If you go out in winter, that season where the temperature drops below -10°C outside and there’s snow everywhere, that’s the time where I am very happy to carry a “heavy” container for hot liquids - a Thermos Bottle. 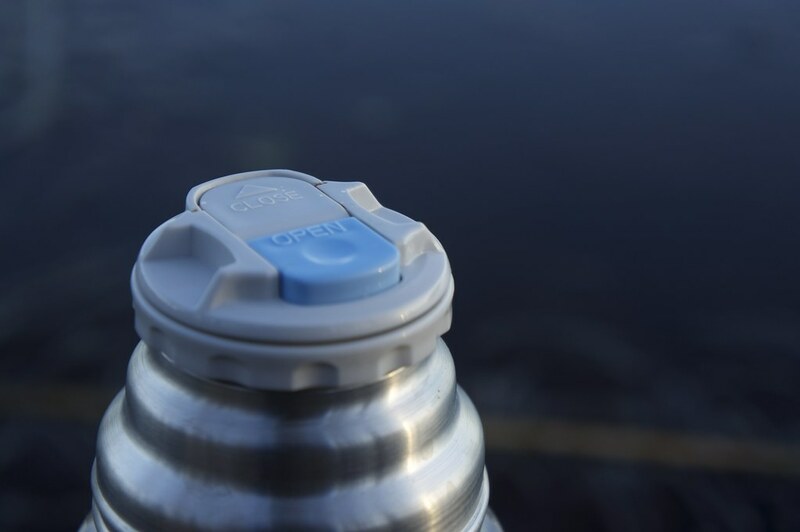 I tried “lightweight” alternatives - Nalgenes in Closed Cell Foam containers, Platypus in Cozy-Pouches - but they can, for me, not compare to a real Thermos bottle. 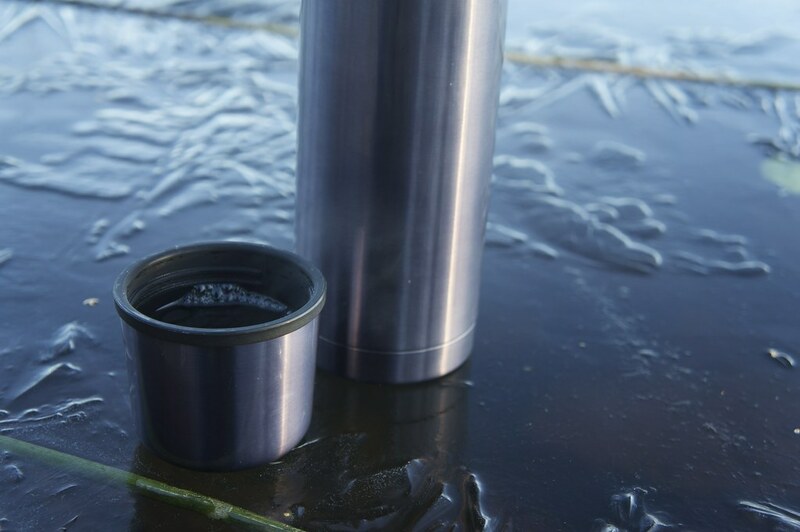 The Thermos keeps the liquid inside steaming hot for up to 24 hours in my experience, and with my MYOG Alternatives I never managed to keep the liquid hot anywhere that long (not that it often would stay that long in there!). So 41 gram extra get you 0,3 l of extra volume, or two extra cups of tea/ coffee/ hot chocolate (the Thermos Cup holds exactly 1,5 dl). The cup is rather heavy as you will see - a Kupilka 21 is just four gram heavier but offers more volume and has useful handle to hold it from - though as the cup is a protection for the stopper and helps that the bottle isn’t opened by accident in your backpack, possibly spilling its content, I prefer to take the whole bottle with cup when I go out. 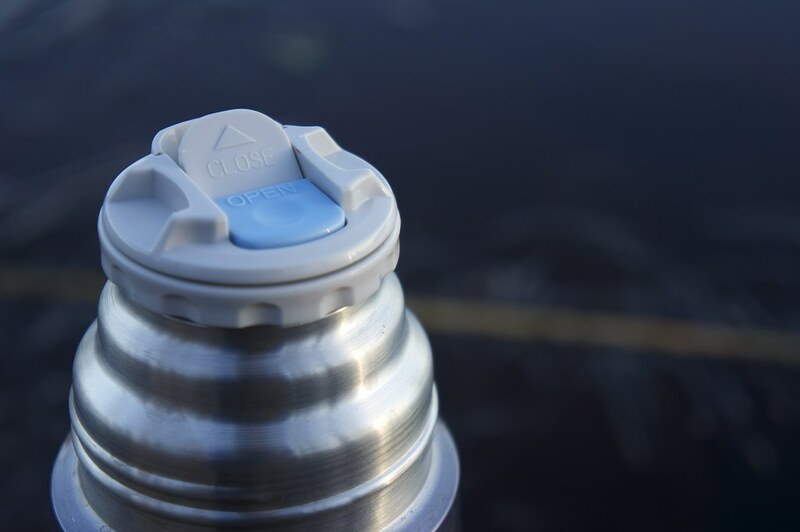 Especially if you use the Thermos bottle at night in your sleeping bag for some extra heat it’s recommended to not leave the cup at home. The cup tends to get fairly hot when you pour something in it, so use gloves when you lift it up, or wait for a bit till your liquid has cooled down enough to be consumed. Not only in winter is the Thermos bottle a useful piece of kit, also on day hikes or overnighters in spring, summer and autumn, where you’d rather not carry your stove, a Thermos bottle allows you to have a hot cup of tea and rehydrate a meal on the go, and much faster than boiling water. It also works the other way around, by the way - keeping your liquids cool - perfect for hikes in hot regions if you crave an ice cold beverage! Cleaning the bottle is simple, at home I usually just rinse the bottle and take a brush to the stopper to remove residues from tea or coffee and make sure to also rinse the inside of it; to clean the bottle and cup on the trail is easy, while I clean the stopper thoroughly at home and don’t mind possible “extra” tastes from the stopper (which I haven’t tasted yet, though). 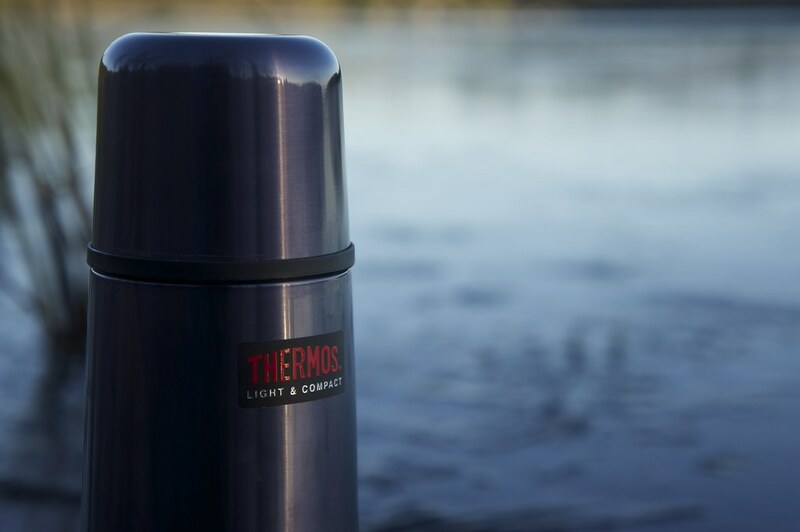 With winter coming any day soon and staying for the next five months, a Thermos bottle will find its way into my packing list on most trips, be it on day trips, overnighters or two week long expeditions. 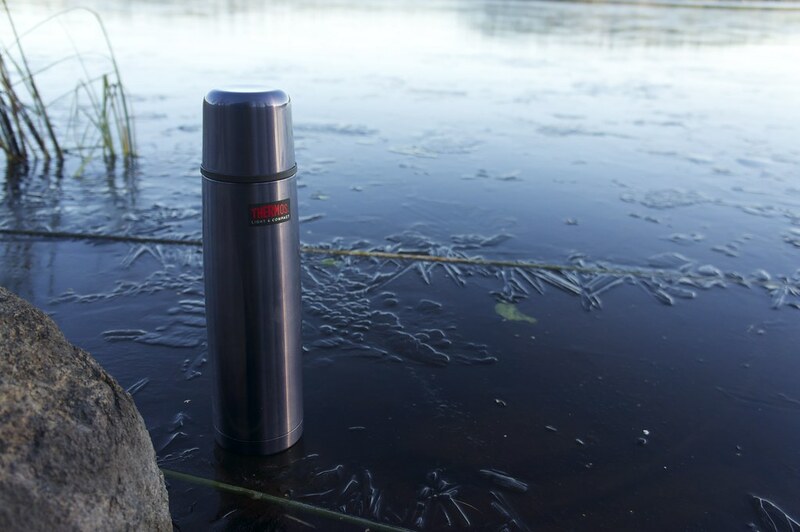 If you go hiking in winter, and rather would have a hot drink immediately instead of waiting till you’ve fired up your stove and it has heated your water, consider a Thermos bottle!